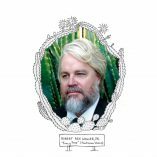 Numerous solo artists keep themselves creatively challenged by moonlighting in side projects, a motivation that partly explains Robert Rex Waller Jr.’s newest recording. Best known for the past 15 years as the towering (six-feet, four-inch) frontman and lead songwriter for psychedelic country-rock outfit I See Hawks in LA, the Highland Park resident’s finished his first solo album, “Fancy Free.” Four years in the making, it sports the “big and warm” sound he likes and finds him exploring the songbooks of the Doors, Bob Dylan, the Hollies, Daniel Johnston, the Kinks, Willie Nelson, Utah Phillips, Mike Stinson and Neil Young. Those “different textures” included bringing in violinist Nora Germain, a former student. Waller, who teaches “writing for visual and performing artists” at USC, also takes a “playful Casio synthesizer tripped-out” approach to the title track (a goofy twist on the Oak Ridge Boys original) and strips down Nina Simone’s “Don’t You Pay Them No Mind” (written by Robert Ahlert and Bobby Scott) to acoustic guitar, violin and empathy. Waller’s big, amiable baritone remains front and center, and certain tracks sway with loping rhythms reminiscent of the Hawks. But “Fancy Free” lacks the Hawks’ savvy sociopolitical commentary. If Waller were to record a second album of covers addressing 2016’s political season, what songs might he choose? Cellar Sessions presents Robert Rex Waller Jr. and Eli Locke, each playing a separate set following a wine tasting, at Old Oak Cellars, 2620 E. Foothill Blvd., Pasadena, starting 3 p.m. Sunday, June 12; $22 advance/$25 at the door. Tickets: cellarsessions.brownpapertickets.com. Info: robertrexwallerjr.com.